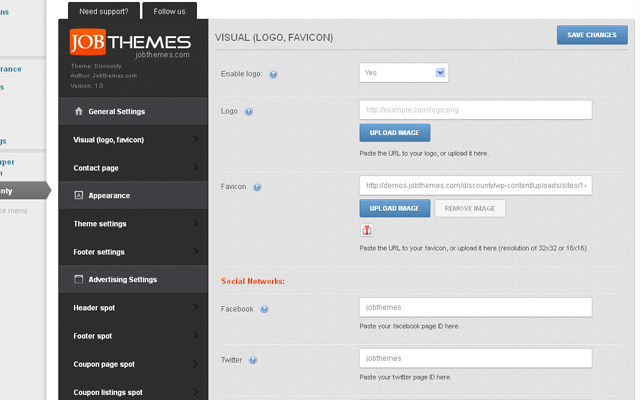 The home page is clean yet it's full of features and options. 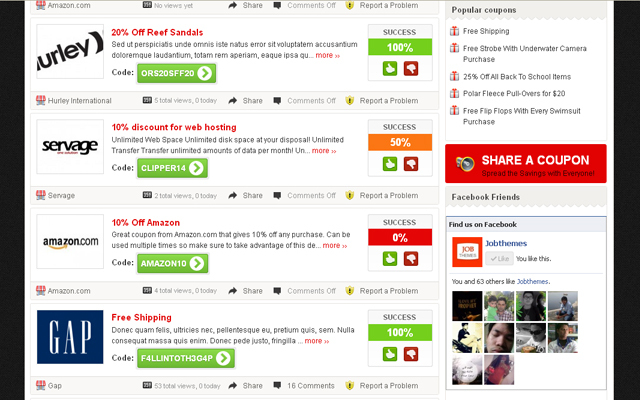 The coupons listings were totally redesigned. Advanced settings ,related coupons and more. 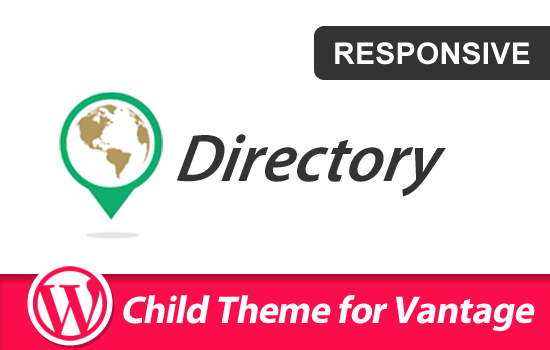 Discounty is the first premium & flexible Clipper child theme. Our theme offers you the possibility to standout with an elegant and well designed coupons theme that you can use out-of-the-box or customize up to the smallest details. It is very powerful yet easy to use and customize, whether you’re a WordPress pro or a beginner with no coding skills. 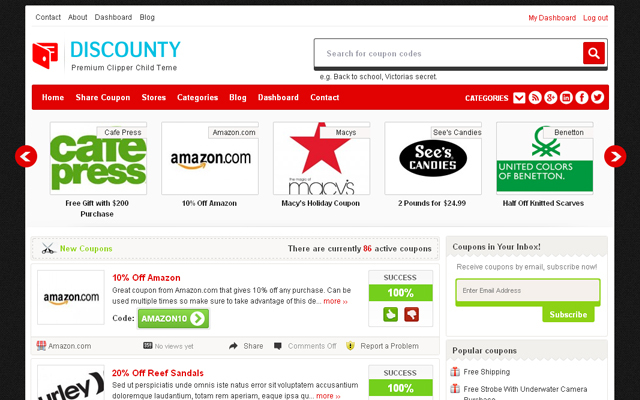 Discounty is what you are looking for if you’re looking to release a coupons and discounts website and want to be unique among the competition. It fully works with the latest version of Clipper. Clean Design | The design is fresh & clean – we’ve made a lot of changes to the default Clipper. 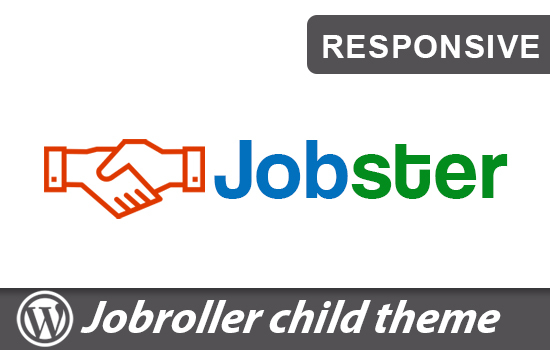 Fully responsive | Discounty is 100% responsive, each and every element including the awesome slider are fully responsive. Advertising module [NEW] | Discounty is packed with an advanced advertisement module to insert any advertising or affiliates cods, images or banner with ease to monetize your coupons website, The areas available are: Header,Footer, between coupons listings,coupon page. New menu | Unlike Clipper, Discounty has 3 navigations: Top, primary and Footer menu. Compatible with Clipper 1.6+ | Discounty is completely compatible with all the functions of clipper 1.6. Your Discounty now is installed and ready for use. – Fixed: login form and broken link to the registration page. I tried the PHP 7.0, when I activate the discounty, I found the below message, likely it is a warning message, please check whether it is OK, if yes, I will ignore it. I want to use PHP 7.0 for the speed. I download the latest one, it works. Thank you for quick response! I played it for a while and find an issue, after displaying the coupon code and copy it, the visitor needs to click on “Open site” to visit the destination site which will have my affiliate ID, but sometimes the visitor will just copy the coupon code and does not visit my affiliate link, then I lose the commission. Can you please do this: when visitors click on the “show coupon code”, this window not only has the popup, but also open another window visiting the destination page? when the visitors click on the “open site”, then it will go to this destination page, you can see how it works in this page http://couponfollow.com/site/bitdefender.com. Doing this way, I can make sure that my affiliate ID get clicked. I can not deactivate the plugin. I tried to remove the plugin and re-install it, but it does not work. please check ASAP. Now I can not access the widgets area to do the configuration, the right side of widgets is blank. go to themes => deactivate discounty => then go to plugins and delete revslider plugin, and go back and activate discounty again, it will install a new version of revslider . [David] I did it. 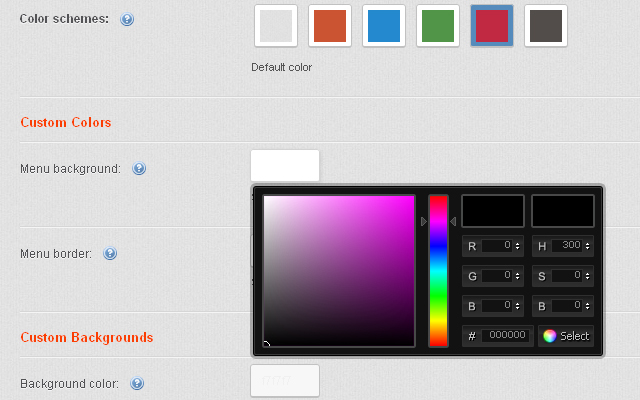 now it is better, I can see the widgets at the left side, but all are not clickable. you can as well do it manualy by installing the zip of the plugin from discounty/install/plugins. [David] I checked the folder of discounty/install/plugins. I did not find any zip file. can you please send this plugin installation zip file to me? 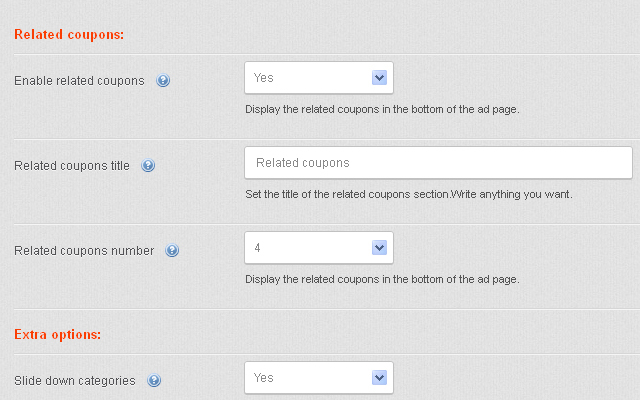 I found another problem, after I did this, the coupons in your box got chopped again, but I can not fix it. See the screen shot https://imgur.com/OGJD0uA. I reinstall it, but it still not work. The email in box get chopped may be related to browsers, firefox does not got chopped, IE and Chrome get chopped. Very strange, with Slider Revolution activated, I can view the available widgets, when I use Chrome browser, the coupon content is empty, although actually there is some content there, I can still see the tab of “Visual/Text”. If I use firefox browser, I can still see the coupon content, but the tab of “Visual/Text” disappear. Please spend some time to fix it. Thank you very much! please send url + admin access by email. I will see what’s going on. as I said teh revslider that’s included is the recent one, it must work since it’sa thrid party plugin.discounty theme installs it like any normal plugin install. send the email with ftp access as well and I will help to fix this . What is the email address I should send to? I,m using latest version of this child theme? 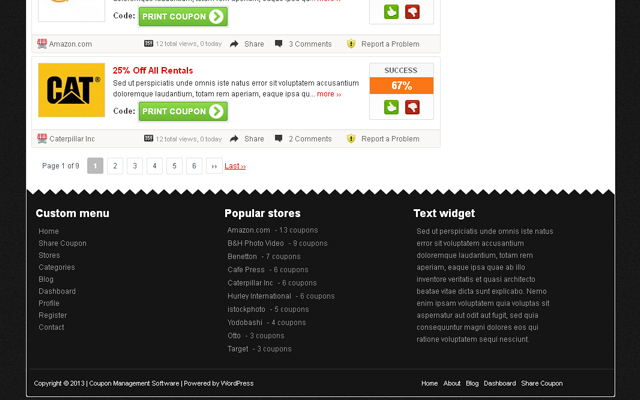 i,m looking to add extra detail at the bottom of each store page? do you please let me know how to add more details there? Sorry for the late reply, it’s not like us 🙁 we just don’t get notified immediately. what kind of details you want to add, I’d guide you to the file to edit ! Like Look at this in the snap shot! at the end of each store page there is few extra detail available. I can see the image but it’s not obvious if it’s inside store page or not ! if you want a dynamic content like fetching texts from store description etc, this would need more custom mods, rather than you put static html text there. Do you know how to move store slider right to left? 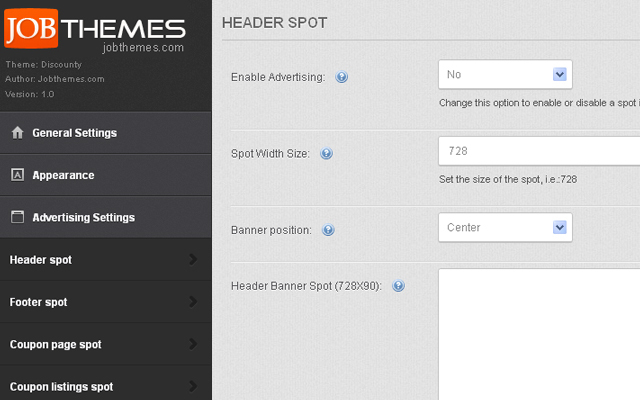 You need to create a new template with a sidebar to the left, then place the store slider widget within. Do you please do it for me! i don,t know how to create that? ?